Paula Broadwell and I hard at work on my biography. When a man reaches the "Nouveau Old, Formerly Cute" years of his life, it comes natural to him to want to leave behind some sort of testament of his life and times. This is true both for those men who have actually "done stuff" as well as for men such as myself whose major lifetime achievement has been breaking the habit of fingernail biting at age 57. But how to create that testament? "Faced with the recurring prospect of being savagely beaten up on his way to school, Perry chose an alternate route across the Gingham Pass and through the Bernsteins' back yard, unaware that two of the fourth grade girls lay in wait for him." Unfortunately Mr. McCullough declined to author my biography as his historical research led him to side with the fourth grade girls. 2) Doris Kearns Goodwin. The esteemed author of the book No Ordinary Time about Franklin and Eleanor Roosevelt had to be eliminated from consideration after her projected title for my bio was "Very Ordinary Time, If That." 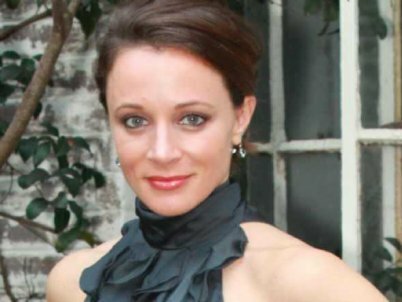 3) Paula Broadwell. Though you've probably never heard of her, Ms. Broadwell had authored a book about General David Petraeus, the renowned US. general with an impeccable reputation. When I first looked her comely resume over up and down, I began to get immediately excited. The woman had a firm grasp of history, and she had come ... umm, I mean ... had come well recommended by the General himself! We arranged to meet and she flew to Philadelphia. As soon as I laid eyes on her, I realized that if I were to ever have the opportunity to discover how well my biographer made fried eggs and toast, I'd rather it be Ms. Broadwell than David McCullough. "UCCHHH!" she said as she got off the plane and greeted me. I suppose she was tired from the long flight from Washington D.C. to Philadelphia. Gradually, however, I came to win her over. While we initially worked over the phone with me in Pennsylvania and her in North Carolina, we drew closer and soon began working from opposite ends of North Carolina. Continuing to communicate over the phone, later we began working several blocks away from each other in North Carolina, although I didn't realize at the time she had built a moat between our two houses. As we approached the end of the project and page 37 of the book (with illustrations), I could contain myself no longer. "Paula, why don't you dig me?" I pleaded. "You know all the special things about me that make me me, such as that I write a blog that no one reads and I no longer bite my nails!" She then explained that she had a thing for General Petraeus! She'd even been imbedded with him! Also it was then that she told me about the moat. My collaboration with Paula Broadwell ended, I've decided to give it a couple more years until I try again to have my biography written. Next time I'm going to get me a really hot biographer who hasn't yet written about anybody exciting or interesting. Someone who spends all her time around Republicans. And in a couple of years, who knows? Maybe I'll actually have "done stuff." I'll get myself an even hotter biographer. You'll see. Don't You Pardon that Bird! Most Obnoxious: Fox News or MSNBC?